It’s that time of year again – the nights are getting longer, the temperature is dropping, and it’s time to choose your next ski destination! Over the last couple of seasons, the heavy snow hasn’t hit until mid-January, so if you’re planning on going skiing earlier in the season, or in late March and April when the temperatures are warmer, where should you go? A good start is to choose a snow sure ski resort, of which France has plenty. Let me run through my top seven snow sure ski resorts in France, and the reasons for each. I hope it helps you choose your ski resort this winter! I’ve skied in Tignes four or five times, and it’s a brilliant resort and ski area. Tignes itself sits at 2100m, but one chairlift will whisk you up and over 2,700m and the highest run starts at 3,456m at the top of Grande Motte. 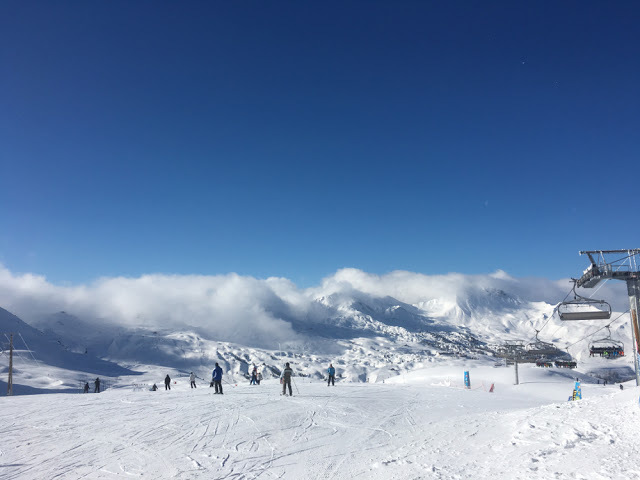 Tignes has loads of accommodation options, and the Espace Killy ski area connects you with Val d’Isere and over 300km of piste runs. 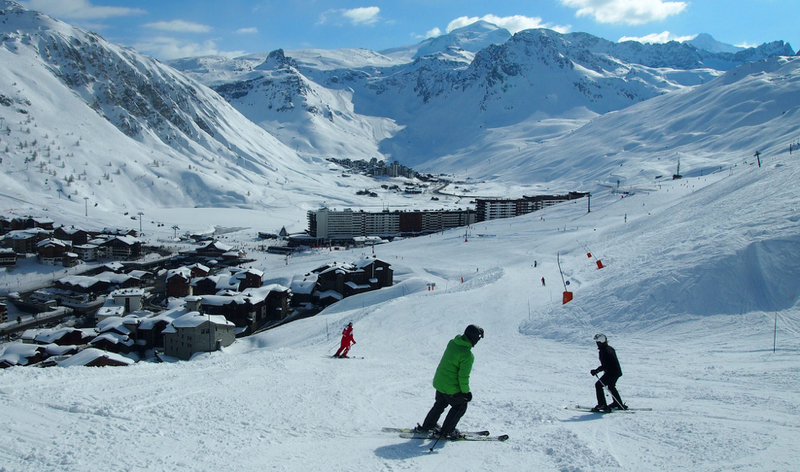 Val Thorens is the highest ski resort in Europe, so ‘snow sure’ is its middle name. I last skied here in 2009, and it’s one of my favourite ski resorts. Sitting at 2300m, you can grab one chairlift (Peclet) that sends you to 3000m and a choice of red or blue runs from the top. The apres ski is great in Val Thorens, and it connects with the massive Three Valley’s ski area – the largest in Europe with 600km of piste to ski across Val Thorens, Meribel and Courchevel. The town of Les Deux Alpes is one long strip that sits at 1650m. Whilst that might seem low, the skiing reaches a peak at 3568m on the Dome de la Lauze – Europe’s biggest skiable glacier. At altitudes this high, the glacier slopes and park often open in the summer and autumn, whilst the rest of the Alps are lush and green. The glaciers flat (ish) plateau makes it perfect for beginners too. 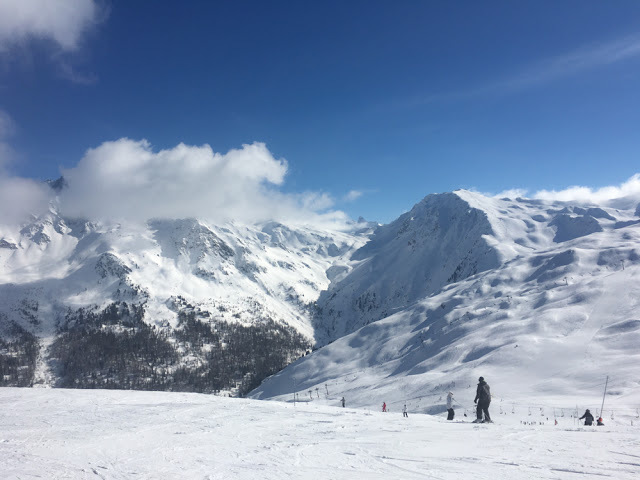 I skied in La Plagne in early 2016 (check out the blog post and vlog) and whilst it is a fragmented resort, the skiing is fantastic. 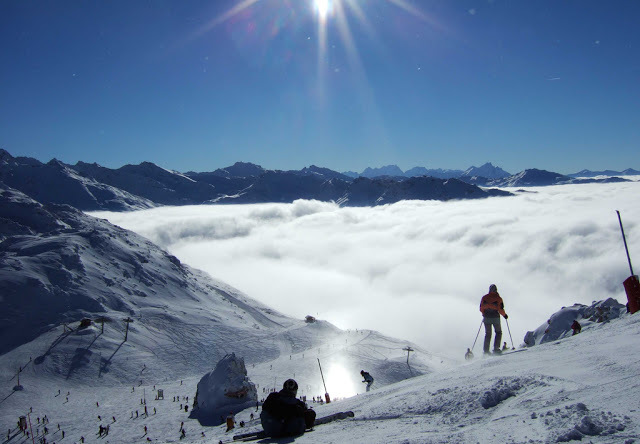 I stayed in Plagne 1800, but if you stay in Belle Plagne (2050m) you’ll have the quickest access to snow sure skiing and the best conditions on the Bellecôte and Chiaupe glaciers – topping out at 3417m over Bellecôte Mountain. Val d’Isere is connected with Tignes, making the skiing most definitely snow sure. There are a lot of North facing slopes in Val d’Isere, meaning they stay cool and snow covered. 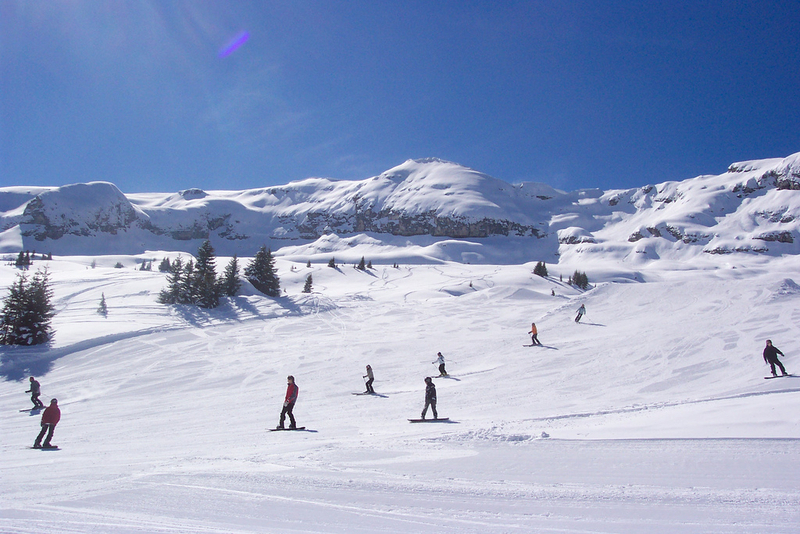 Val is a pretty village, has great après (Folie Douce) and is part of the 300km Espace Killy. 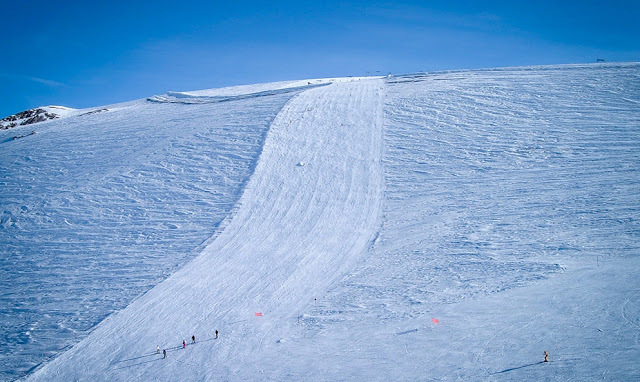 The highest slopes can be found at 3300m on the Pissaillas Glacier, with most of the other runs above 2500m. Connected with La Plagne by an incredible double-decker, glass bottom ski gondola, Les Arcs has lots of wide red runs. In fact 70% of the runs in Les Arcs are above the 2000m mark. Much like La Plagne, Les Arcs has accommodation in different villages – stay in Les Arc 1950 or Arc 2000 and you’ll have direct access to some of the best skiing in the Paradiski. Last but not least, we have Flaine. This increasingly popular ski resort is a bit of an anomaly. The town itself sits as low as 1600m, but the Grand Massif benefits from the Mont Blanc ‘fridge effect’ – the surrounding mountain peaks and glaciers keep the area marvellously chilly and white. As such, the snow piles up…and piles up and then the North-facing slopes make sure if doesn’t disappear. The North-facing slopes make up a massive (no pun intended…ok maybe) 80% of the area. The result is one of the most snow sure ski resorts in France. Voila! 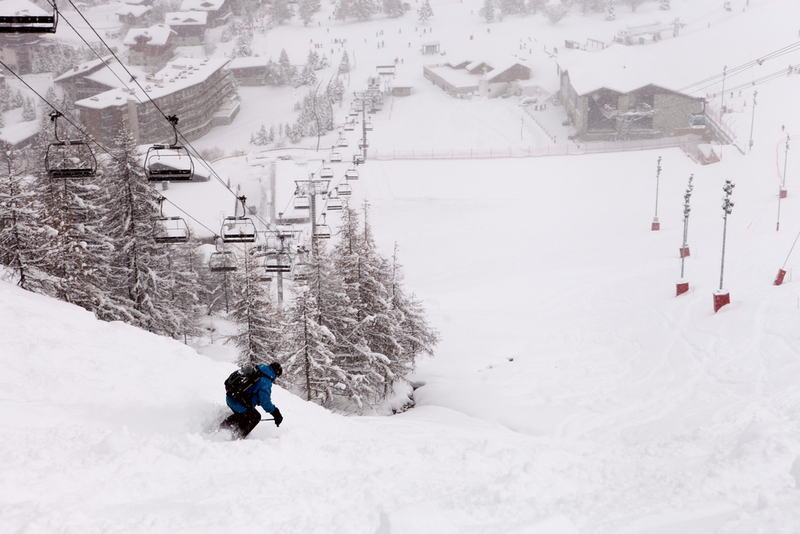 Seven of the best snow sure ski resorts in France. Some of the ski resorts may not be pretty, but at these altitudes, you are guaranteed snow, regardless of which part of the ski season you choose to go. Enjoy!